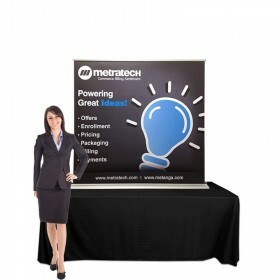 Illuminate your graphic like no other with the all new Embrace™ backlit tension fabric pop up display. 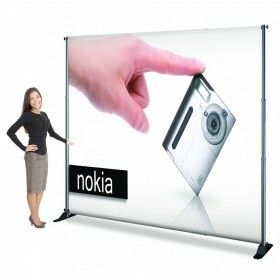 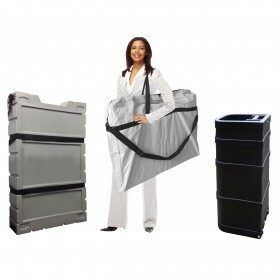 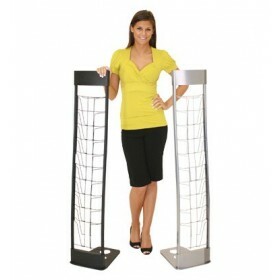 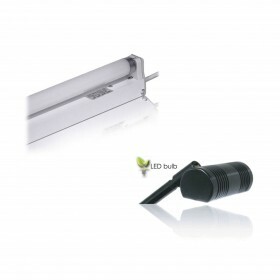 Quite possibly the sleekest, seamless, modern, portable backlit display system available. 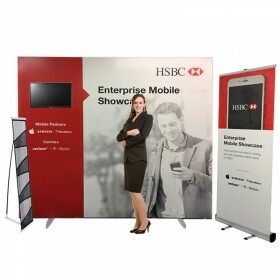 Embrace™ trade show displays incorporate the new Push-Fit silicone edge graphic technology, with internal bright white LED light bars to enhance your graphic like no other. 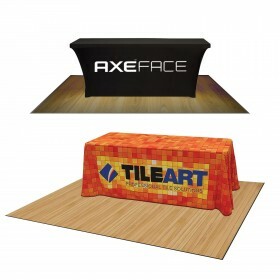 Best of all, set-up requires no tools and your graphics feature crisp, straight edges due to the simple, push-fit graphic attachment. 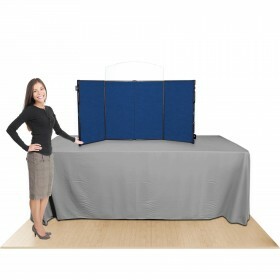 No more bunching around the edges because of stitching or velcro! 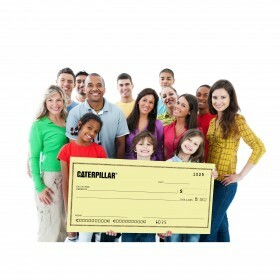 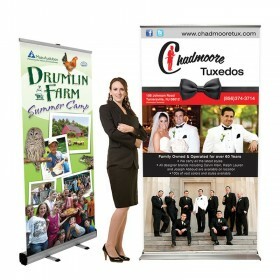 Ask about how our graphic designers can take your image to the next level or submit your own ready to print artwork. 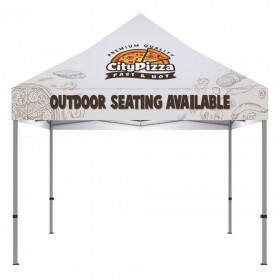 Start shopping now! 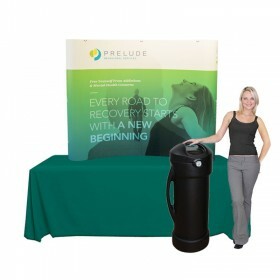 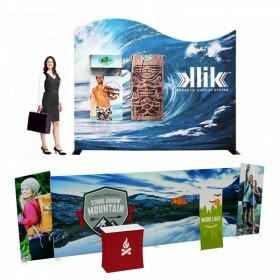 Backlit Tension fabric display includes Straight collapsible pop up frame, Perimeter channel bars,Premium push-fit backlit fabric graphic with end caps, Rear diffuser fabric panel, Wheeled shipping case. 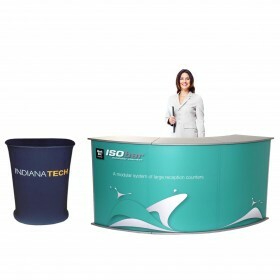 Set-up dimensions: 88.5"w x 88.94"h x 23.25"d.
Backlit Tension fabric display includes Straight collapsible pop up frame, Perimeter channel bars,Premium push-fit backlit fabric graphic with end caps, Rear diffuser fabric panel, Wheeled shipping case. 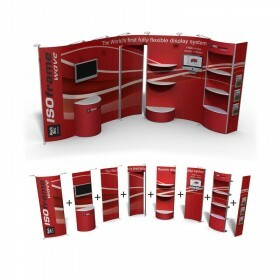 Set-up dimensions: 117"w x 88.94"h x 23.25". 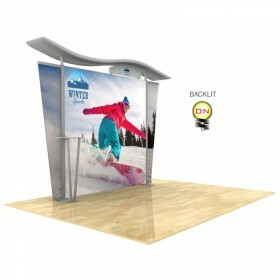 Backlit Tension fabric display includes Straight collapsible pop up frame, Perimeter channel bars,Premium push-fit backlit fabric graphic with end caps, Rear diffuser fabric panel, Wheeled shipping case. 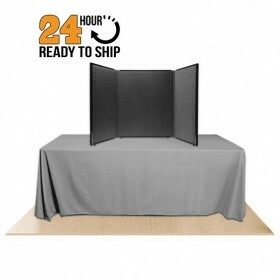 Set-up dimensions: 31.25"w x 88.94"h x 23.25"d.
Backlit Tension fabric display includes Straight collapsible pop up frame, Perimeter channel bars,Premium push-fit backlit fabric graphic with end caps, Rear diffuser fabric panel, Wheeled shipping case. 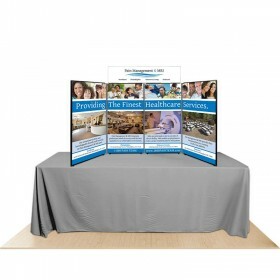 Set-up dimensions: 60"W x 88.94"H x 23.25"D.
Backlit Tension fabric display includes Straight collapsible pop up frame, Perimeter channel bars,Premium push-fit backlit fabric graphic with end caps, Rear diffuser fabric panel, Wheeled shipping case. 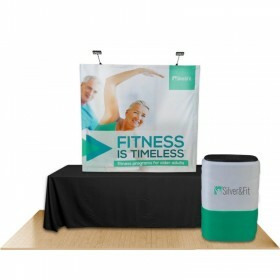 Set-up dimensions: 146"w x 88.94"h x 23.25"d.
Embrace™ Backlit Push-Fit graphics, also known as Silicone Edge Graphics (SEG), are ideal for a variety of applications with pop up displays or displays featuring channel bar applications. 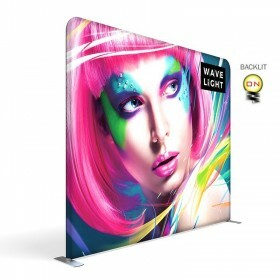 This is the latest technology in tension fabric displays and features silicone edge beading attached to the edges of the printed fabric graphic, enabling you to easily push the graphic into a channel for a seamless edge display. 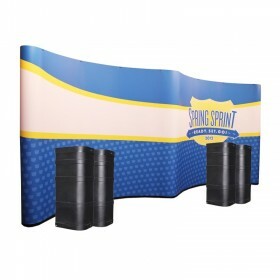 Application of graphics is as easy as pushing the SEG bead into each corner and perimeter of the frame - and removal is as simple as pulling the tab located on the graphic and gently pull it from the frame and fold up for storage. 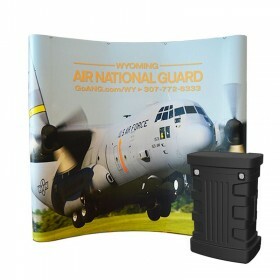 Available options include single sided graphic or double sided, along with backlit LED illumination or non-illuminated dye-sublimated fabric graphics. 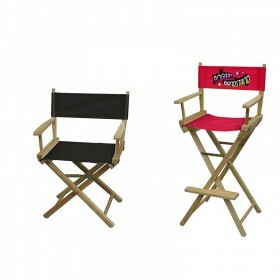 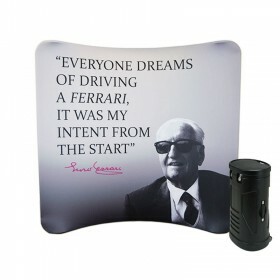 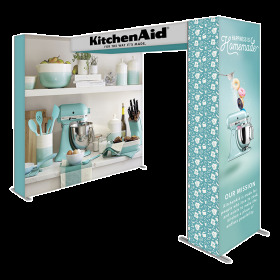 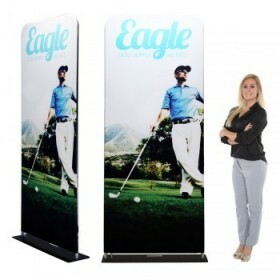 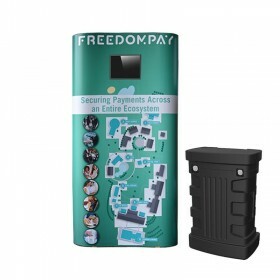 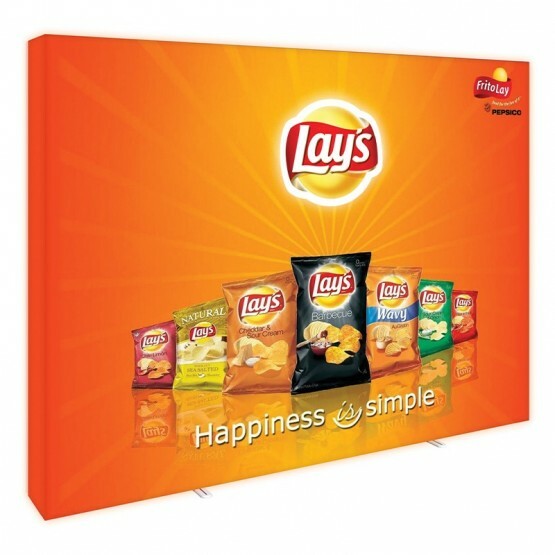 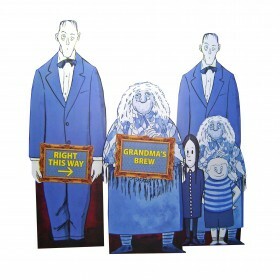 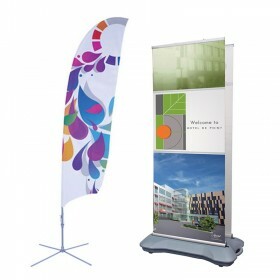 Available for a single sided display or double sided, including backlit LED illumination dye-sublimated fabric graphics. 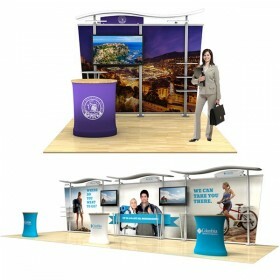 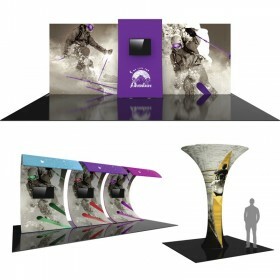 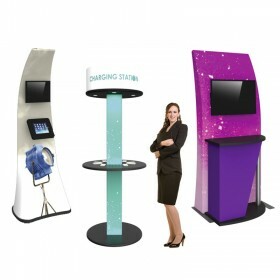 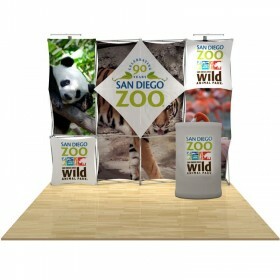 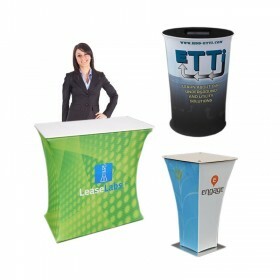 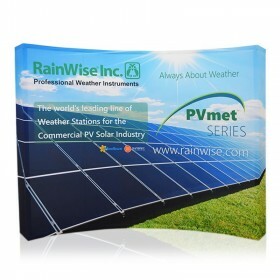 There are many benefits to choosing a portable, custom or custom modular display featuring silicone edge graphics. 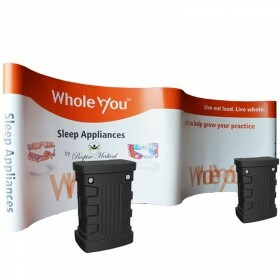 Most often its the extrusion-based frames or perimeter channel bars that hold SEG graphics and provide a seamless appearance for a message that can't be missed. 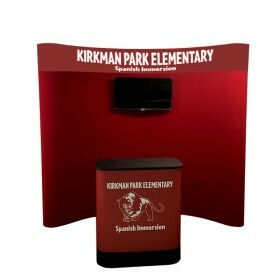 The new Embrace™ backlit tension fabric displays combine the convenience of a pop up display with a streamlined look and innovation of a push-fit silicone edge fabric graphic. 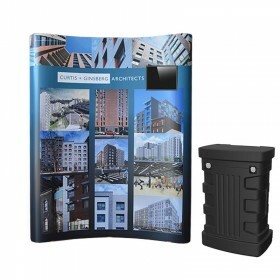 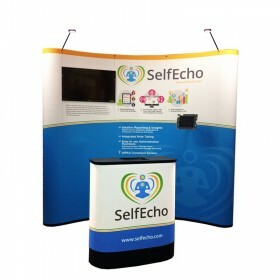 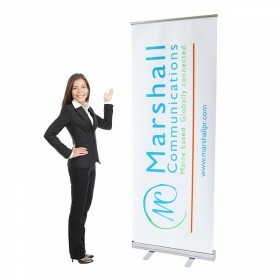 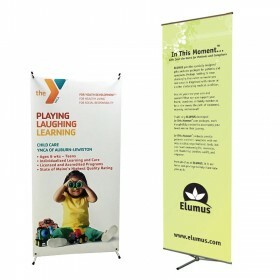 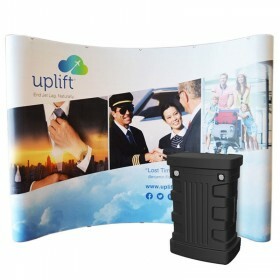 By combining a lightweight collapsible frame and a "push-fit" fabric graphic, this ensures a seamless and taut appearance to your graphic every time you display your message. 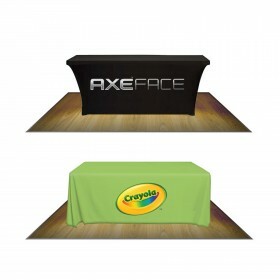 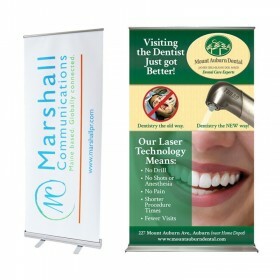 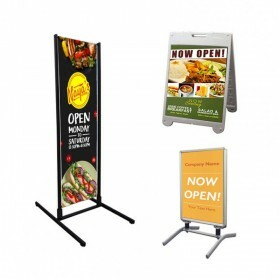 No more wrinkles around the edges of your graphic due to stitching or velcro! 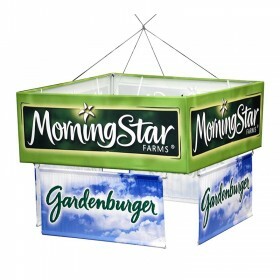 Featuring a no tool setup, you’ll be amazed at the simplicity of this display every time.